With so much to see and do, it can be hard to decide how to spend your time in Scotland. If you’re looking for ideas, we’ve listed seven man-made wonders that you may want to add to your agenda. Surrounded by gorgeous scenery and famous for transporting the Hogwarts Express in the second and third Harry Potter movies, the Glenfinnan viaduct attracts visitors from all around the world. You don’t need to be a Harry Potter fan to appreciate the wonder though, at 380 m long, the viaduct is the longest concrete bridge in Scotland. It sits 30 m above the River Finnian and, in summer, forms part of the characteristic Jacobite steam train’s route from Fort William to Mallaig. 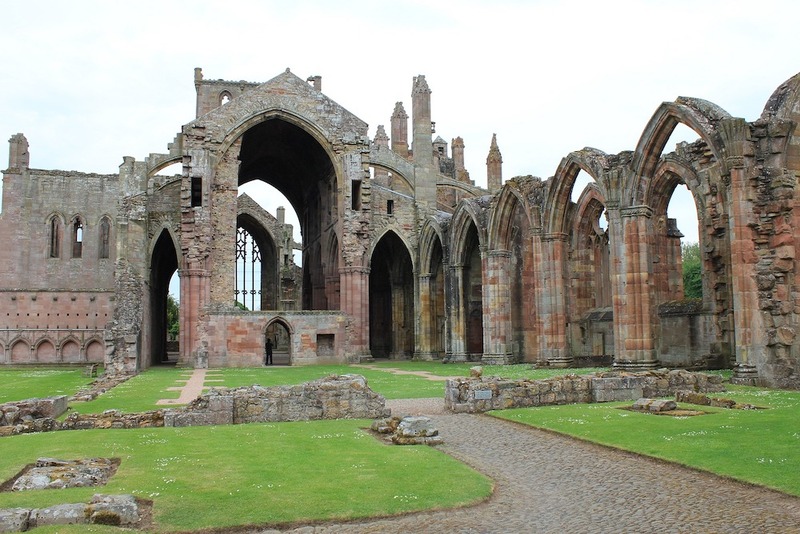 The furthest south of our seven, and perhaps the start of a Scottish road trip or motorhome adventure, is the impressive ruins of Melrose Abbey. The Cistercian monastery, which was built by monks at the request of King David I of Scotland in 1136, is now a monument under the care of Historic Environment Scotland. It has a fascinating history with much of the Abbey suffering at the hands of Richard II’s English army in 1385. It is also believed to be the final resting place of Robert the Bruce’s heart. As well as admiring the impressive architecture, unique sculptures, and stunning scenery, you can visit the Commendator’s House Museum to see a collection of medieval artefacts. Heading further into Scotland and to the Scottish Capital, Edinburgh, there is no end of things to occupy you. It’s a city filled with character and many attractions, one of which is the remarkable Scott Monument. 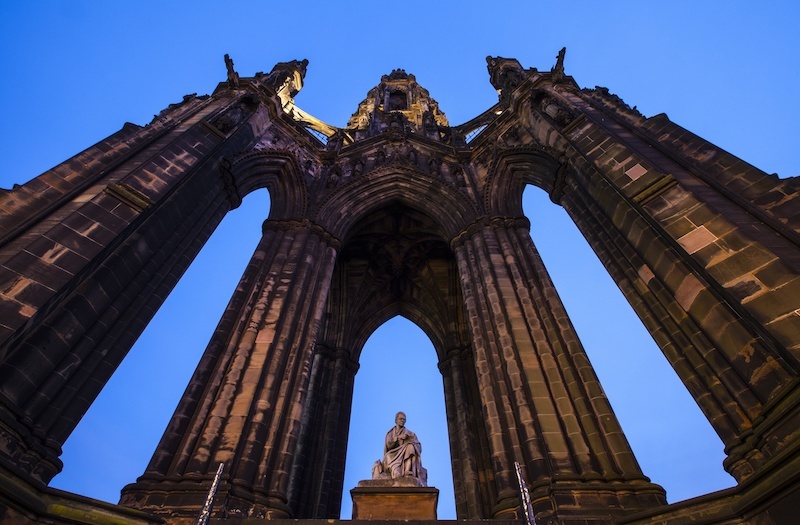 Built as a memorial to the famous writer Sir Walter Scott, it offers fabulous views over the city, that’s if you have the energy to climb the stairs! There’s also a museum on the first floor where you can learn all about the life of Sir Walter Scott and the history of the monument, which was built in 1840 following an architectural competition to find the designer. Staying in the centre of Edinburgh, you’ll not miss this next man-made wonder, Edinburgh Castle. Constructed at various times throughout history, the oldest part of the Castle is St Margaret’s Chapel, dating back to the 12th Century. 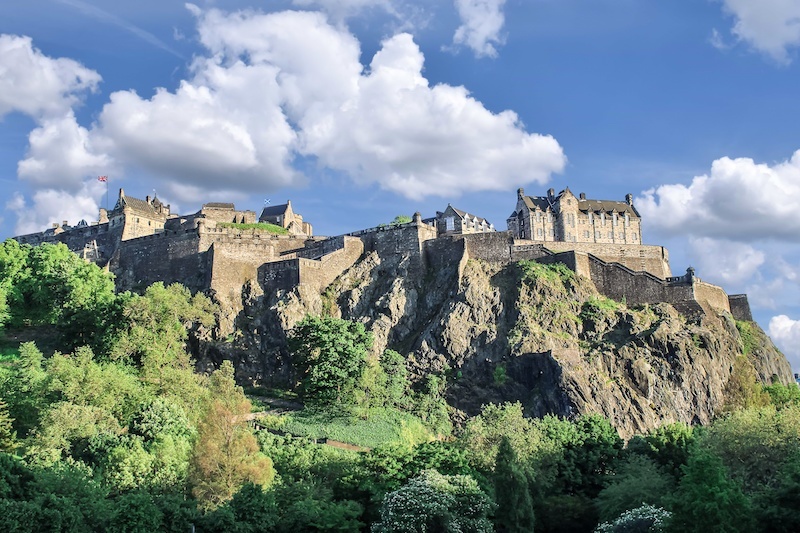 There’s plenty to see when you visit from the Scottish National War Memorial and National War Museum of Scotland to the crown jewels and stone of destiny. If you visit at 1 pm, you’ll also be able to watch the firing of the famous 1 o’clock gun. Next on our list and recently voted Scotland’s best man-made wonder by Visit Scotland, is the Forth Bridge. Opened in 1890, the Forth bridge spans the Firth of Forth and connects North and South Queensferry. It’s an impressive engineering feat, the world’s longest cantilever bridge and, since 2015, a UNESCO World Heritage Site. The bridge, which was lovingly restored in 2012, now sits beside two other iconic bridges, the last of which, the Queensferry Crossing, was completed in August 2017. 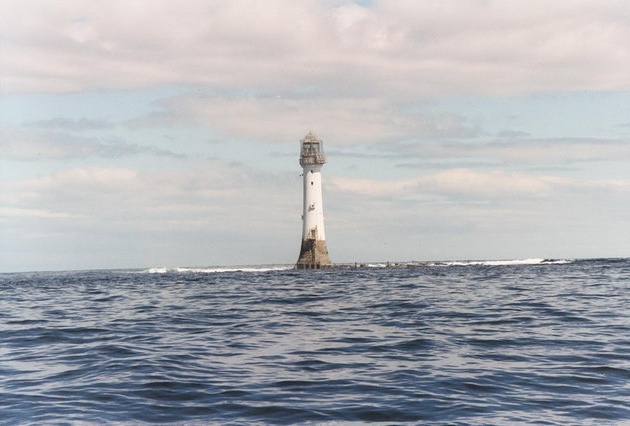 Built in 1807–1810 and in service from 1811, the Bell Rock Lighthouse off the coast of Angus is the world’s oldest surviving sea-washed lighthouse. It was designed by Robert Stevenson and built on a partially submerged reef, but you can learn all about it the Signal Tower Museum in Arbroath. The last on our list is the Caledonian Canal. Spanning 60 miles from Corpach near Fort William to Inverness, the canal was designed by Thomas Telford and took 17 years to build, starting in 1803. It did, however, end up having to go through a second construction phase because the original build diversified from Telford’s design and was too shallow for many vessels; it was finally finished in 1847. There’s plenty to do along the canal from boating and paddling on the water to cycling, walking, or running alongside. 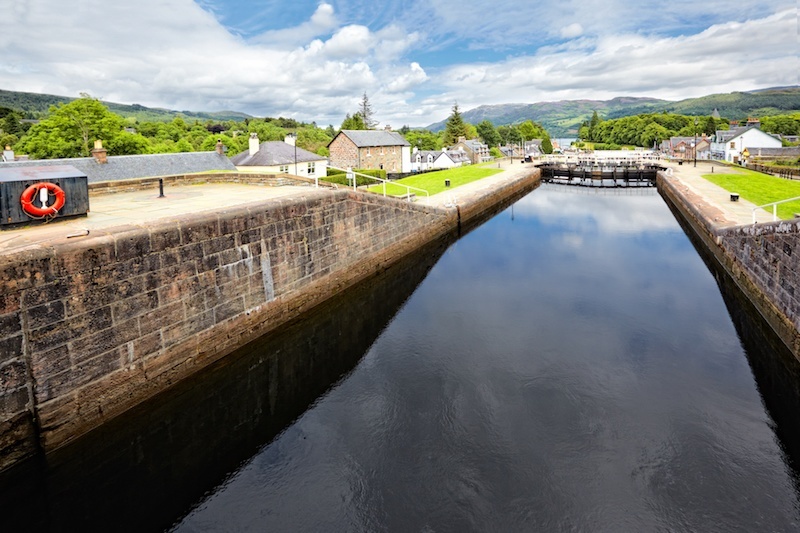 If you’re near Fort William, take a trip to see Neptune’s Staircase, one the canals best features; A series of eight locks raise vessels 70 feet above sea level in 500 yards! Scotland’s man-made wonders are spread far and wide across the country, the best way to see them is to get out on the road and take your accommodation with you in the form of a motorhome. Enjoy the freedom to set out on a new adventure every day without having to worry about where you’ll lay your head each evening. All of our motorhomes are luxury, meaning you don’t have to compromise on comfort when your out on the road. Explore our range of luxury motorhomes for hire and find the right vehicle for your vacation.